The masthead with its newly-installed VHF antenna, anchor light, and Windex weather vane. 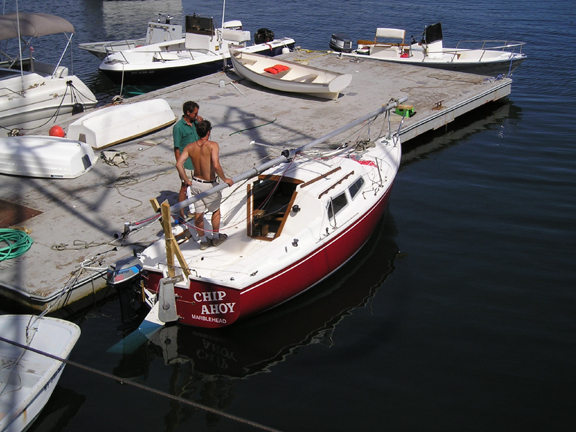 The 14 pound Danforth anchor is mounted on deck anchor chocks for ready availability and ease of use. 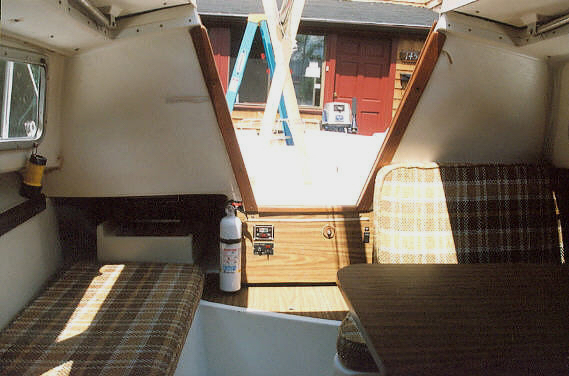 (I've got a smaller 9 lb spare Danforth with chain and rode stored under the cockpit.) The anchor rode is 10' of 1/4" coated chain and 200' of 5/16" nylon line stored below in the forward v-berth locker. 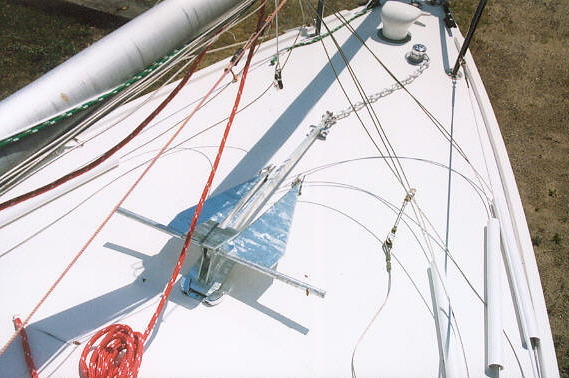 NOTE: I later learned this was a poor location, as the jib sheets often caught on the anchor when tacking. 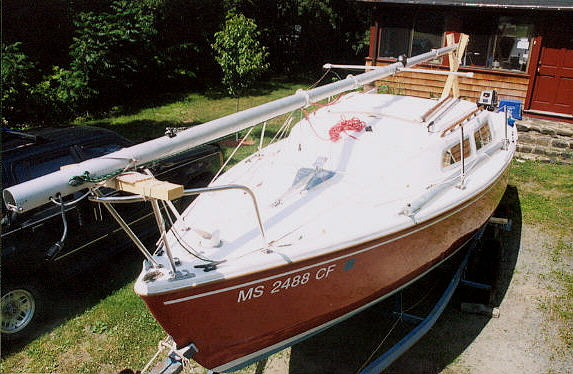 I subsequently changed over to a Delta Fast Set anchor and anchor roller on the bow. 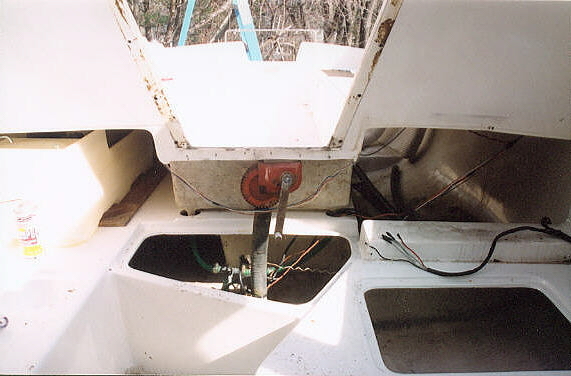 The cockpit and hatch after clean-up. 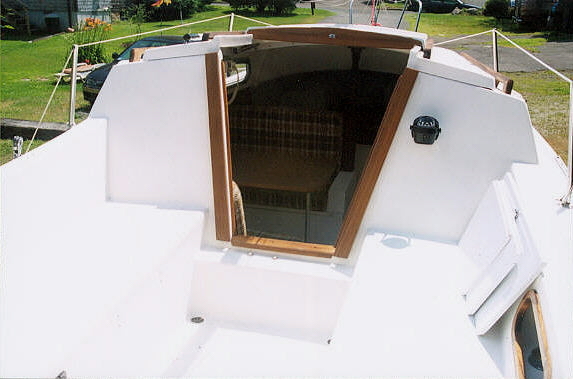 The companionway from the cabin below looking aft, ready to go. 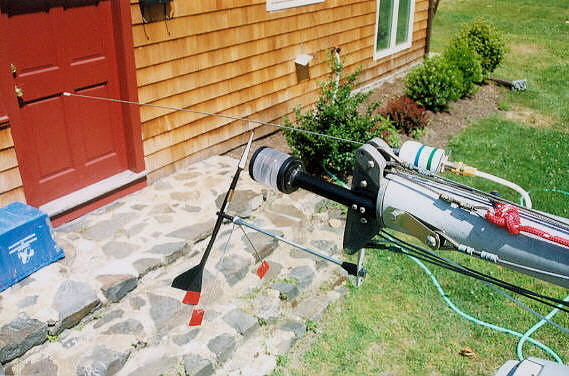 (See how it looked early in the project). 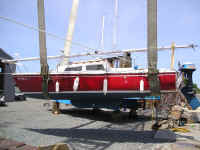 Chip Ahoy in the crane's sling as it's prepared for bottom paint (July 10) and launching. 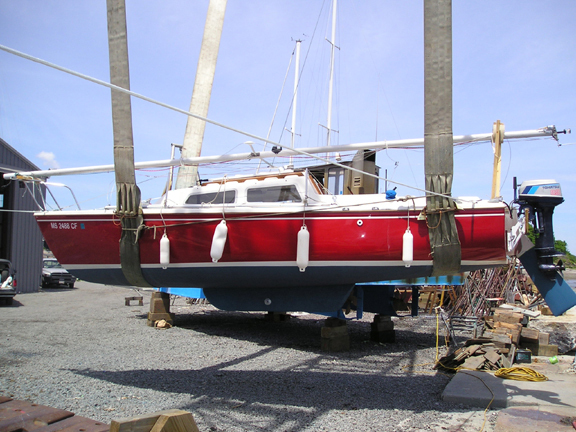 The bottom is wet at last as the yard crew ponders stepping the mast. 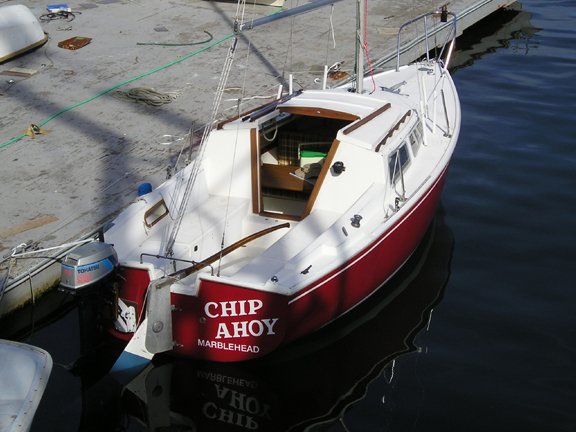 Chip Ahoy, mast up and finally ready to sail ... hallelujah. It's never-ending ... but the good times have arrived!